Thank you Arctic Cool for this opportunity to find better and more effective tools for MS patients! We appreciate your continued support of our blog and MS community. Traveling with MS is never easy. But there are some tips and tricks to make things easier. With a good-size adventure on the horizon I've been testing some new gear and getting psyched. One of the biggest concerns with traveling is not knowing how one's body is going to react. Will the MS subside? or will it roar its ugly face in mine? Heat sensitivity can affect many of those with MS. It will take me down faster than a nano second. SO, I'm getting out the defensive gear and cooling off! I'm trying out a new cooling shirt to prep for possible hot weather. 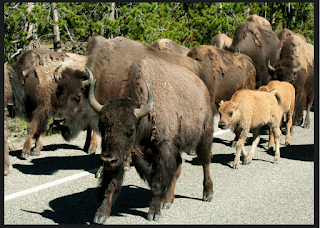 We are traveling form Jackson Hole, Wyoming, (Grand Teton National Park) to Yellowstone National Park to Crazy Horse Memorial then Mt. 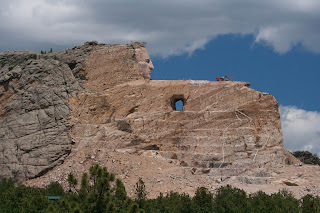 Rushmore in South Dakota on a tour by Tauck Bridges tour aptly called "Cowboy Country". And here I am after climbing a really big hill to get to the local teepee. Yes, we have a teepee nearby. Local people own it and hike there often. It's a treat to visit and this day was no different. - for when the sun decides to come out! Looking out over La Canada, the 210 freeway, and downtown Los Angeles off in the distant. What a beautiful day! Cloudy and cool but that's great for many of us who suffer from heat sensitivity. I had my Arctic Cool cooling shirt on and several times had to take off my wraps and cool off. Then, when the clouds and breeze came back, simply put my over shirts on my back. Love the fact the cooling shirt had it's cooling technology. It definitely gave me a small boost of confidence on ths hike and sometimes that's all one really needs to make a big difference in their life. A little bit of confidence. Feeling primed and ready - Here we come Rocky Mountains! The weather forecast was for blue skies and mid to high 70's. Pretty darn perfect but that sun can be sneaky and warm one of up faster than appreciated, especially if that person has a malfunctioning thermostat in their body, such as many an MS patient who suffer from heat sensitivity. 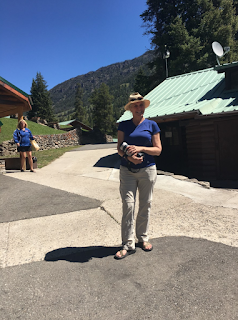 So, despite the cool forecast, my go-to shirt throughout this 10 day trip was my trusty, short sleeved Arctic Cool in Navy Blue. Here are some pics of me throughout my trip sporting this cooling device. And there were times that my gratitude for this shirt was overwhelming. One day in Jackson the temps were nearing 90F, which for this girlwithms can be detrimental. It's one thing to be in warm temps but another to be walking around, outside, watching over young people and old people, with little escape in sight. 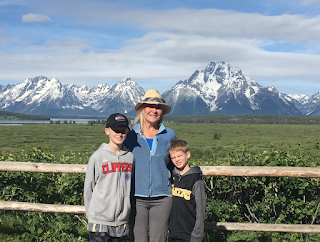 Our trip began with a beautiful two day stay at the Jackson Lake Lodge. Out for our morning stroll before getting the day started, I'm sporting my tank top from Arctic Cool. The morning was still brisk but the tank and the yoga pants made for great clothing during my stretching routine. 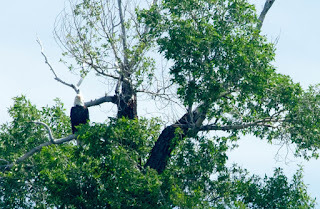 We saw beautiful wildlife on our tour of the Grand Teton NP as well as in Yellowstone NP. Old Faithful. hot just thinking about it. The ground is hot. The energy is hot. The atmosphere is hot. let's just say, the cooling shirt was worn every day and put on with a big sigh of relief. One thing I noticed though was the stench that comes from wearing a shirt like this everyday. SO, easy fix - just hand wash it in the bathroom sink with gentle soap and hang to dry. Easily dry by morning. Mine was washed everyday - and trust me, it needed it! 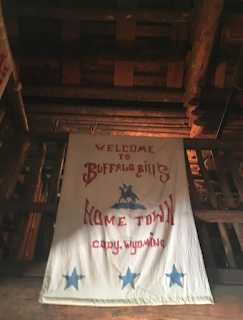 We took a rest outside of Yellowstone National Park to check out a hunting lodge in Pahaska owned by Buffalo Bill Cody. So cool. The sun came out and boy was I glad that my navy blue Arctic Cool shirt was there to keep me cool. We saw quite a bit of wildlife throughout the trip. Some was difficult to shoot while others were easy as pie. Easier than pie really. 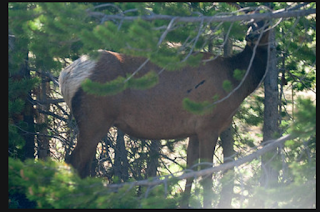 This little elk was close by but driving and behind glass makes for not the best photo. But at least the memory was captured and sometimes that's the best part of a photograph. We took a river float trip on the Snake with the Grand Teton Lodge Rafting Company and saw a variety of birds including this bald eagle. The trip was great and our guide was excellent. Just happens that our guide, Wayne Johnson, is a local writer and knows quite a bit of history about the area. Our raft was full of information and insightful thought. Fascinating, really. Again, the morning started out brisk and cool, but we knew the sun was coming. Sporting my Arctic Cool cooling shirt, another shirt and a fleece started out the morning on the water. Come afternoon the shirts were off the cooling shirt was doing its job - keeping me cool. My Arctic Cool cooling shirts have become my new trusty stand-by. Especially as temperatures are starting to rise for the coming summer months, the tank is put on when yoga or activities are involved. Navy blue short sleeved cooling shirt used for almost every other event. How do they work? There are tons of little, tiny microns that sense your rising body temperatures and activate a "cooling" technique within the fabric. Well, maybe not exactly like this but that is my interpretation from a layman's standpoint. The point is, it works, and that is all that really matters to me. I just heard that they have come out with a long-sleeve version. Thank you Arctic Cool! Can not wait to try the long sleeve white shirt for the coming summer months. Talk about hiding from the sun and saying: #TakeTHATms! Click Here for more info about Arctic Cool and Cooling Shirts. Thank you! The trip didn't end with the wildlife. 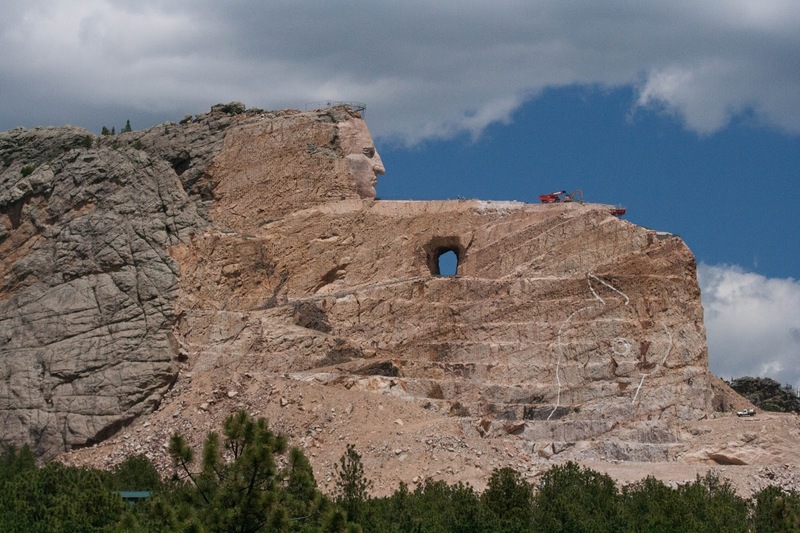 We ventured on into South Dakota and took on Crazy Horse Memorial and Mt. Rushmore. And, once again, my cooling shirt saved the day. It was a gorgeous day, but go to a memorial, with tons of people and lots of stairs and add a few museums, walks and bookstores and you have one tired puppy. Yep, this puppy was hot and tired. But the few degrees that the cooling shirt kept me, under the sun protection of a long sleeve blouse, kept this photographer very happy. In fact, I felt a bit too confident... maybe. But that's OK. 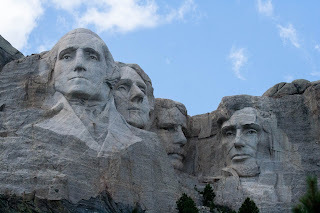 Considering I used to freak out and be scared to leave the house if temperatures went over 80F, the fact I can now explore memorials, spend time with my nephews and see the world with confidence? I'll take that all day long! This blog post was sponsored by Arctic Cool and rightly so. They make a great product designed to help us live better with MS. Thank you Arctic Cool for all you are doing to help our MS community. Great blog! I am a MS heat sufferer like yourself. I also purchased a few of these shirts and also wear one at night as needed. Maybe someday I can convince my family to move to the Arctic. That would definitely be my happy place.